Take the kids to a playground - fun for all ages! 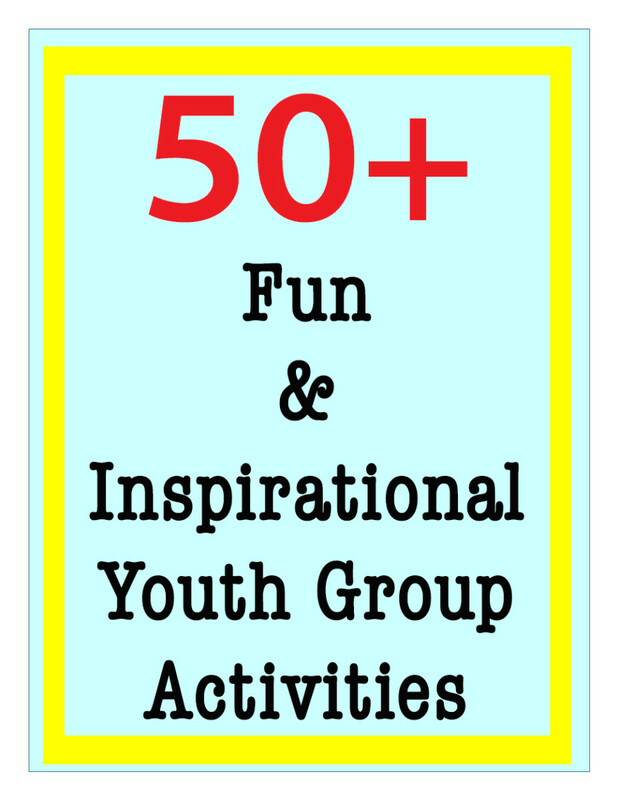 Are you looking for some fun outdoor activities to do with your young grandchildren? If so, there are fun family outdoor activities suitable for every season and every age group. Don't worry about getting dirty, just enjoy the fresh air, sunshine and smiles of your grandsons and granddaughters at play. One of the best things about outdoor activities with children is that most of them are free or cost very little. The unstructured play is good for both adults and kids! Enjoy the moment! 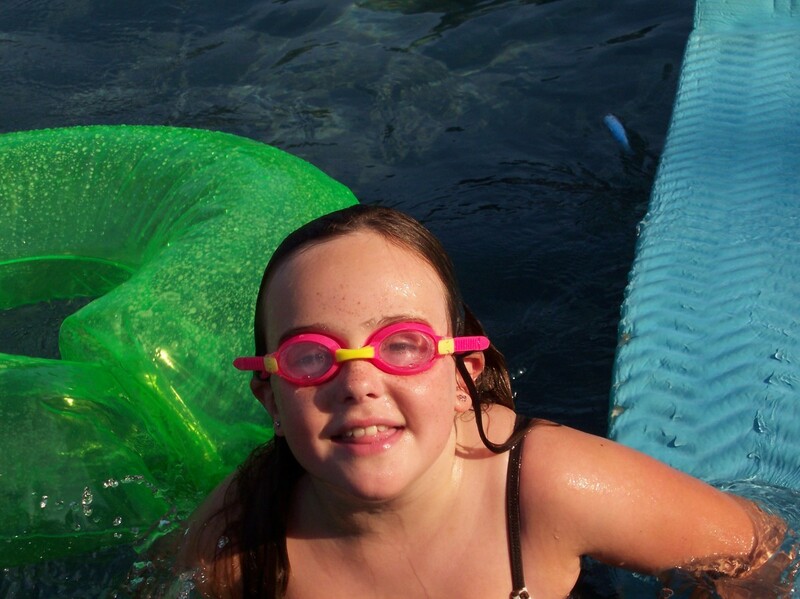 Safety guidelines for keeping the fun in outdoor activities with grandchildren. Sunscreen. Be sure to apply sunscreen before outdoor activities. Appropriate clothing. Flip flops and shorts are fine for playing at the beach or lakeside (don't forget sunglasses and hats), but for walking in the woods or playing on the playground, be sure the kids have closed toe shoes and long pants to protect from scrapes and insect bites. Long sleeved shirts will help protect against insect bites when walking in the woods. Insect repellent. Be sure to use insect repellent if you are going into areas where there might be mosquitoes, ticks or chiggers. First aid kit. Keep a small first aid kit in your backpack just in case there's a mishap. At the very least you will want a few band aids and antiseptic cream, a small pair of tweezers for splinters. Bottled water, juice or soft drinks. This is important for you as well as the kids. Stay hydrated! Disinfectant wipes. These are handy for cleaning hands before eating or after bathroom breaks. Light snacks. Who doesn't get hungry when playing outdoors! Bring along some fruit, cookies, crackers and cheese or a sandwich. Cell phone . Your cell phone should be programed with emergency phone numbers and parents' contact numbers. A camera! Most importantly, don't forget your camera to snap a few pictures. These ordinary outdoor activities will one day become precious memories! Outdoor Activity #1 Take the kids to a playground - its FREE! Be sure the child is dressed appropriately - long pants and sneakers are especially important and will offer protection from scrapes on playground equipment. Remember those burns from slidding on the sliding board with bare skin? It's o.k. to let kids play with other kids, but be sure you know exactly where they are at all times. Do not let them visit restrooms or food concessions alone. Take along drinks like water and juice and light snacks or an easy lunch. Nothing is more fun than a picnic in the park with grandpa and grandma! Outdoor Activity #2 - Go Fishing! This is a traditional outdoor activity for grandfathers and grandsons, and brings to mind some nostalgic Rockwell paintings, but the truth is that boys and girls love to try their hand at fishing. What could be more fun than playing with squishy worms and having the chance to splash around in water? If the kids get bored with fishing and the weather is warm enough, most kids would enjoy turning up a few rocks to look for crayfish. Don't forget the fascination of leaning how to skip stones across the water! Who doesn't love forts? 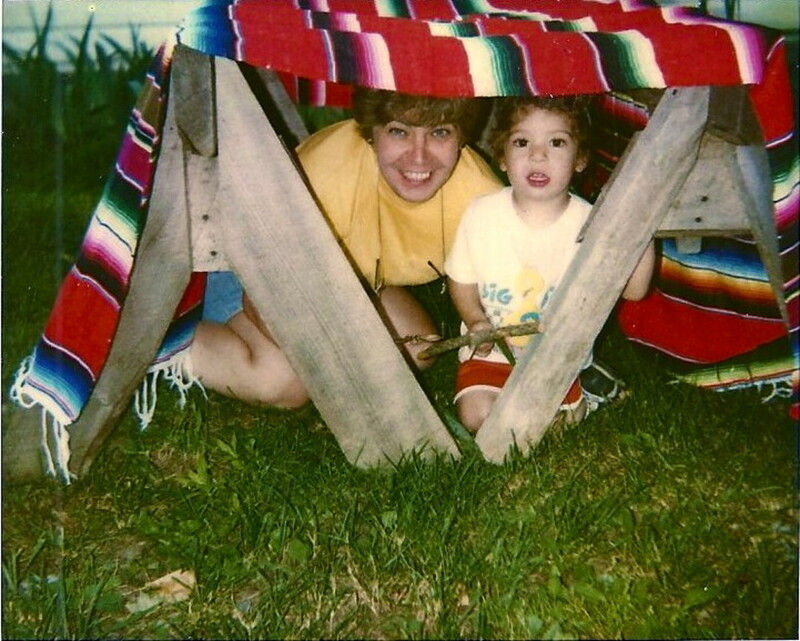 Kids love to build their own cozy place, whether it's indoors under a blanket tent or outdoors under the picnic table. The best thing about building a fort outdoors is that it can be done with any age group and in almost any season. Winter snow forts just require some big snowballs in a circle, and you're all set for a snowball fight! In the fall, the kids might love to pile up leaves and burrow under them. Any time of year, kids and grandparents can build simple forts from sticks and branches or hang blankets over the picnic table and outdoor furniture for more private quarters. Going to the beach is a great outdoor activity! The beach offers many opportunities for fun activities. Even in the cooler months, kids can build sand castles, hunt for shells and sea glass or investigate tide pools for sea creatures. Shelling is one of my favorite activities at the beach, and one that my grandchildren loved to do. All you need is a small bucket or bag and you're good to go. Some of these shells and stones can even be used later for indoor crafts or just displayed in a jar or basket as a room decoration. 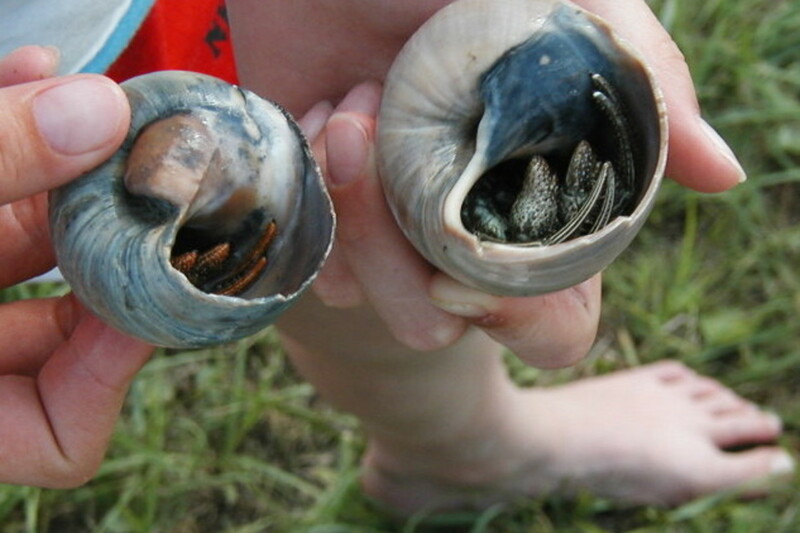 Once year when playing in a shallow inlet, our granddaughter found a bonanza of abandoned shell that contained hermit crabs. She collected several to take back to camp and observe before releasing them back into the water. Go Sledding, Skiing or Build a Backyard Snowman. Playing in the snow is free and fun! 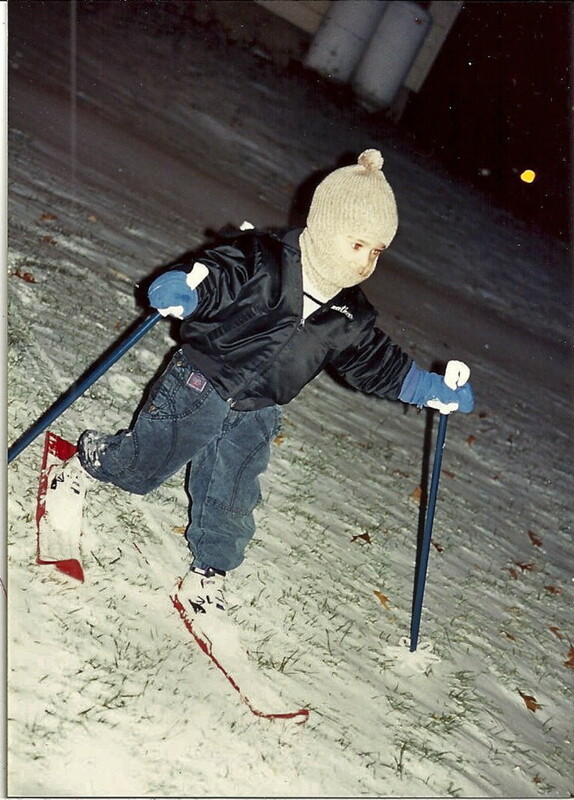 Dress yourself and the kids in warm clothing and enjoy sledding or skiing in a local park or even down your driveway. Take the kids ice skating. Many local parks have outdoor skating rinks in the winter that are perfect places for kids to learn to ice skate. Take a thermos of hot chocolate along for a warm drink later! Build a snowman or a snow fort. The cold air will be refreshing and exhilarating for you and the kids! Watch out, though, because one of them is sure to throw a snowball at Grandma or Grandpa! Outdoor Activity #6 Hunt for Treasure! Kids love to search for treasure. If there's a local gem mine, gold mine or a place to search for fossils in your area, it can provide a wonderful educational activity. On one of our trips, we were near an area where gold mining was done and brought home a bucket of sand and gravel. We put a few inches of water in the kiddie pool and let them pan for gold - they loved it! Another adventure with children was a trip to Herkimer Diamond Mine in Herkimer, New York where kids and adults were allowed to bring their own hammers to smash rock looking for Herkimer diamonds. Yes, we did find some! But you don't have to go to a gold mine or diamond mine for kids to enjoy a treasure hunt. Kids can be encouraged to look for beautiful stones on a simple walk in the park! "Snakes and snails and puppy dog tails...that's what little boys are made of"
Nothing attracts the young biologists more than an interesting bug, slug or snail! 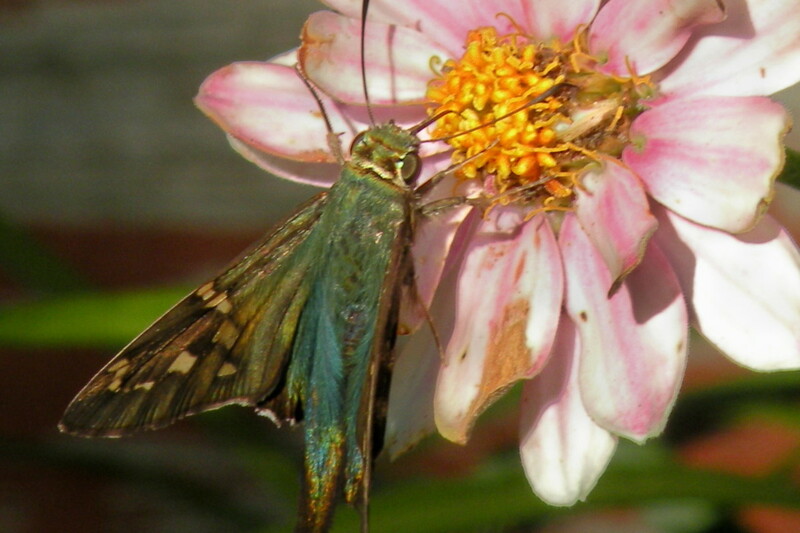 Take your grandchildren on a nature walk in the backyard or local park and hunt for interesting bugs. No need to pick them up! You can observe them, see what they eat and watch them move. Even watching a colony of ants can be a fascinating experience for both adult and child. Kids of all ages love to interact with animals. If you know a local farmer who will let you get close up to see some farm animals, it's a perfect place for kids to see cows, horses, goats or chickens. A local petting zoo is another place where children are allowed to feed or pet tame domestic animals. Be sure to take your camera, as nothing is cuter than your little lamb petting a real little lamb! If you are a gardener, let your grandchild help plant seeds and tend the garden. You might even want to reserve a small space for their very own garden. 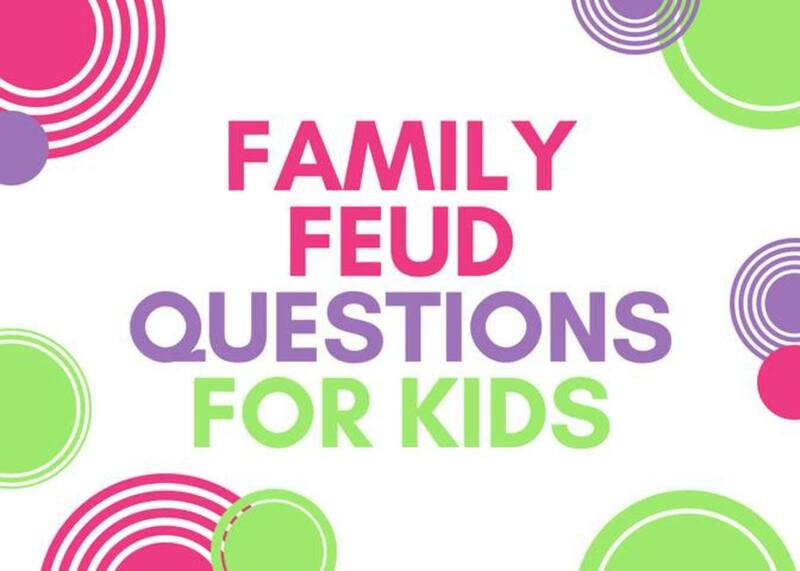 What kinds of activities would your kids enjoy? In this electronic age, even very young children are often deeply engrossed in electronic entertainment indoors. Getting them outside to enjoy nature and all of its wonders is healthy and educational as well as fun. Grandparents can share in this fun by introducing kids to some of the fun outdoor activities that they enjoyed as children—activities that never go out of style. What could be more timeless than building a snowman or beach combing? Children who are introduced to the woods and fields and beaches are learning first hand about the wonders of the natural environment. And the bonding time with their grandparents, siblings or other family members is priceless! 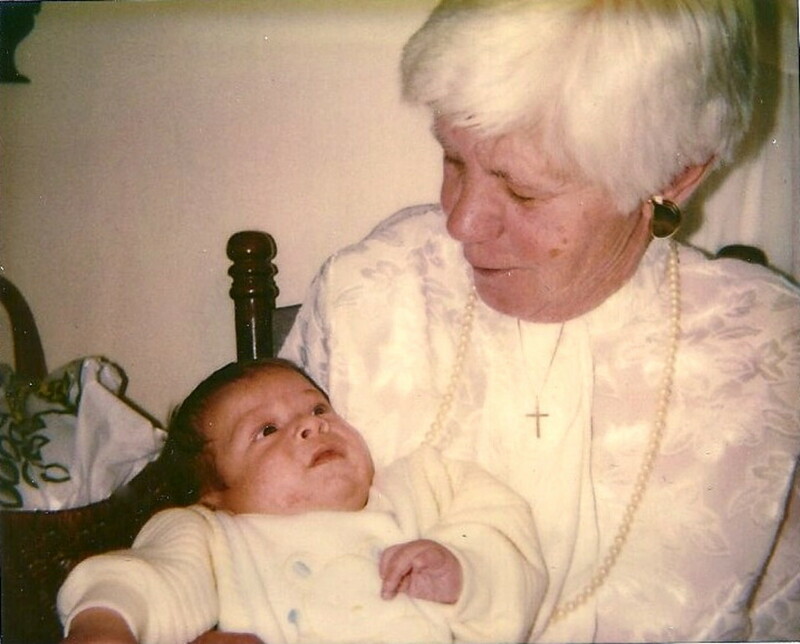 schoolmom24 - How wonderful that you have wonderful memories of spending time with your grandmother. I agree that quality time does not have to cost any money at all. It's the little thing that we remember! Fantastic ideas and love that they cost little to do! It's all about spending quality time together and that doesn't have to cost a cent. My fondest memories of spending time with my grandmother doesn't involve money spent at all. And I also love all of the ideas for getting into the outdoors! Sunshine625 - LOL! You guys do go the extra mile for your grandchildren! TeachableMoments - Thank you for your very kind comments. I love young children because they are still so curious and easy to entertain. I do agree that parents need to get back to basics - how wonderful when children are encouraged to investigate and explore in the great outdoors! Stephanie, loved your ideas. All of your suggestions are timeless; children always find a way to have fun in the great outdoors. Now, more than ever, parents need to get back to the basics. Children are naturally curious, little scientists ready to explore. I appreciate this beautiful hub. Thank you! Tillsontitan - I do miss those days when our grandchildren were young and happy to spend time on playgrounds and petting zoos! Thanks so much for stopping in to read and comment! You've got some really great ideas here. So many things we can do with the grandkids that we'll both love! So many wonderful tips for grandparents and parents! Our town has this very small water park (basically the kids just run around and get wet) and it makes for the perfect outing at the park. The kids stay cool and we pack a picnic. Another fun thing we like to do is visit our library. They have weekly activities for the kids and many of them do not require registration. Wilbart26 - Playing with children outdoors is a wonderful way for parents, grandparents and other family members to bond with kids. I'm so glad you liked my suggestions! Ruby H Rose - As a grandparent, I have shared many wonderful times with my grandchildren, and some of the best have been out of doors. Safety is important, at any age! Thanks so much for stopping in to read and comment! These are great suggestions, I might tell my mom to do these with my kids. Bonding with family members is really fun and rewarding. Thanks for sharing this. Beautiful ideas. For all the seasons, wonderful! I like your safety reminders. Great hub! Harinarayan - You will have so many opportunities to share fun outdoor activities with your baby. It won't be long before he will enjoy playing on the beach or visiting the zoo, and will be so much fun for both of you! Thank you for visiting and commenting on my hub! wonderful tips for parents also. I'm a parent of 1 year old baby. I like to practice ur advices when he reaches 3or4,i think that time only he enjoy or worders of these games. Thanks for sharing your beautiful moments with us. Grace Whites - I'm glad that you found my hub on fun outdoor activities for kids and grandparents useful. I do enjoy spending time outdoors with my grandchildren! 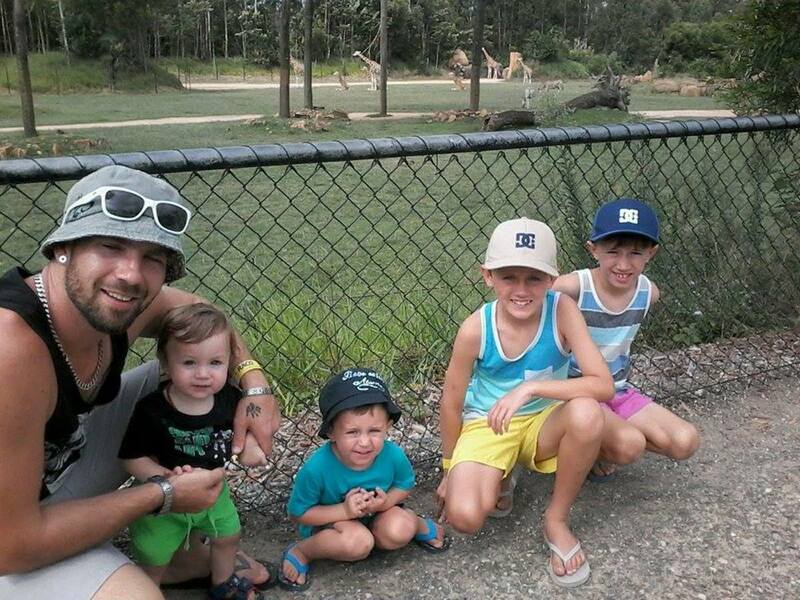 iefox5 - Our grandchildren always loved visiting a place where they could see animals close-up. Petting zoos were great as the animals are used to children, and the kids were able to touch them in a calm, safe setting. Thanks for reading and for your comments! Thank you for your goos tips. It seems that you are a good grandmother that knows how to lobe and care your grandchildren. Even me like your hubs and ideas. 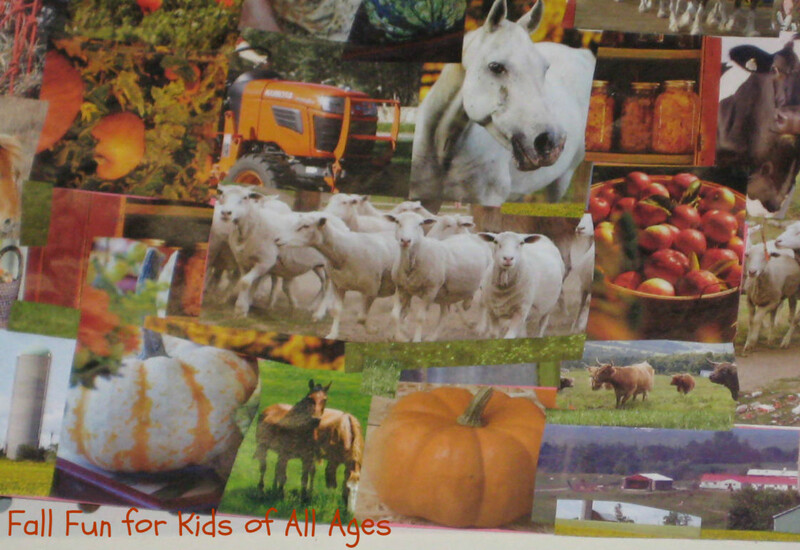 Visiting a farm or a petting zoo is ideal,in this way kids would know deeper about the world we are living. Modern Lady - I'm so glad you enjoyed my article on fun outdoor activities for kids. Thanks for stopping in to read and comment! Moon Willow Lake - I did forget to mention a change of clothes! and that something we usually brought along on a day trip because you never know what kind of spills or accidents might happen! Thanks for the suggestions and for your read and comments. J.S.Matthew - I know that it gets harder as kids get older to get them to go outdoors and participate in outdoor activities, but I think it's worth the effort. Thanks so much for your votes, shares and comments! 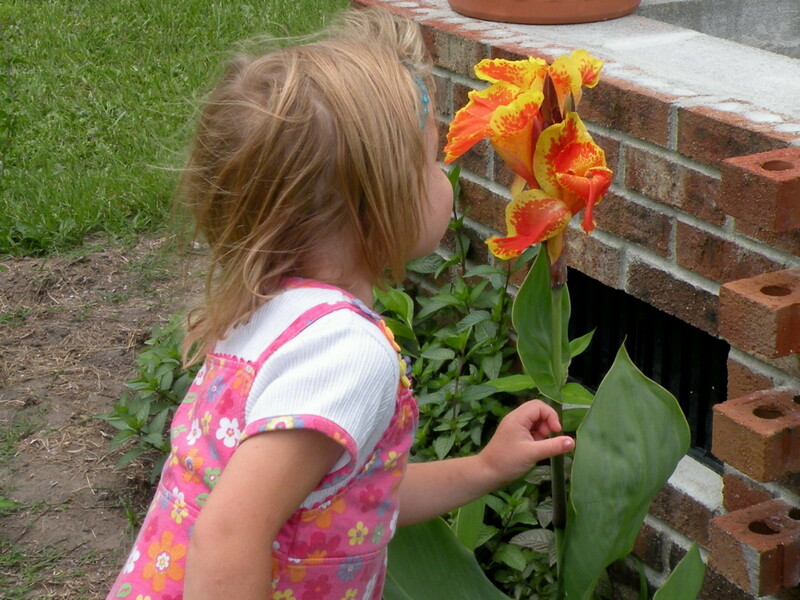 KKflowers - So glad you enjoyed my hub on fun outdoor activities for kids and grandparents. It's a perfect time of year to take the kids outdoors! Thank-you for the pleasant read! I know that I have enjoyed quite a few of these events with my little one! The other items I would suggest to bring along would be a change of clothes. You just never know when that's going to be needed! And, depending upon the age and skill level of the little one, a pull-up or two may be needed too! I know that I am looking forward to creating even more excellent memories with my little one by doing more of the above! Great ideas! Congrats on HOTD! Thank-you for the very pleasant read. I know that I have done some of this with my son, and he really enjoys them all! The other item I would suggest to bring along would be a change of clothes. You just never know when it may be needed. And, depending upon the age and skill of the little one, you may also need a pull-up or two as well! These are some really great ideas! I know my kids enjoy going outdoors. Since they are teens, it is sometime hard to get them out the door but once they get to the fun destination, their fun-side comes out! It is so important that kids get out and experience nature. All kids need some time away from electronics! Great tips! Congrats on the Hub of the Day! Voted up and shared! This is a great hub. Grandparents that do activities with their grandchildren are awesome! taw2012 - Glad you like the ideas of outdoors activities for kids and grandparents! Thanks so much for stopping by to comment! techygran - Have a wonderful time with your grandchildren this summer! Thanks for commenting and voting! twilanelson - We often took five of our young grandchildren out on a day trip...the list comes from experience! Thanks for the suggestion of adding antihistamines for children with allergies! Thanks for your thoughtful comments! Maine Photography - That's my oldest grandson who just graduated from college! Time flies,but we had many good times with him and our other grandchildren! urmilashukla23 - Glad you enjoyed my hub on fun outdoor activities for kids and grandparents. Thanks much for you comment and congratulations! Great hub. These ideas are pretty good. Congrats on HOTD. What a great hub, Stephanie... I can hardly wait to go through the list this summer with my grandkids! Voted you up and awesome! Thank you for a very useful Hub. It took me a while to master the list of things to pack when taking the grand kids out for the day. (For those children that have allergies, remember antihistamine.) Your thoughtful Hub can help us follow a check list and keep us all moving in a healthy and fun way. Congratulations on Hub Of The Day. Thank you! 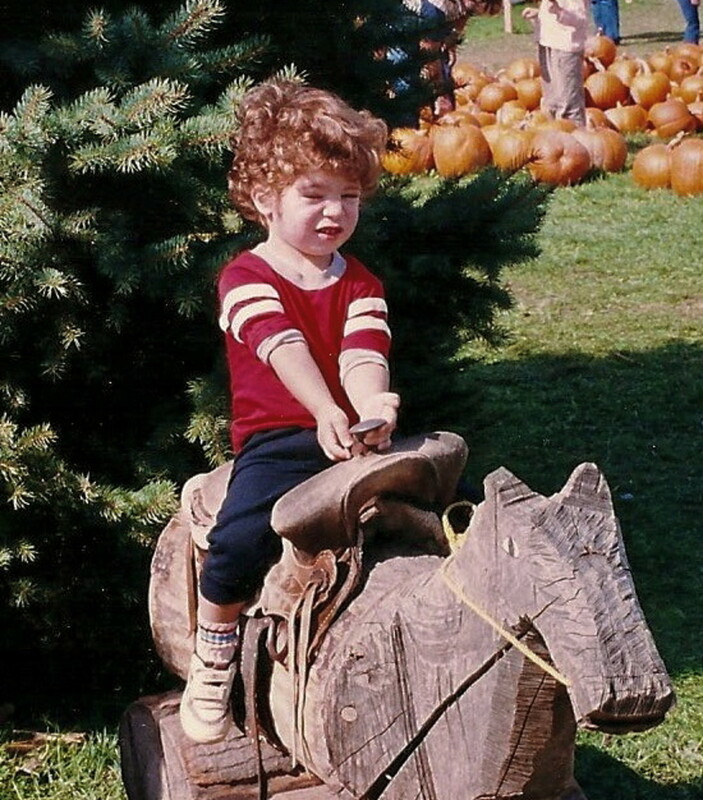 The redhead on the wooden horse looks a lot like me at that age! Great suggestion for outdoor activities for kids. Thanks for sharing it. Congratulations on Hub of the day award! Hi Billybuc - I think that grandparents my age often want to give their grandkids a taste of what childhood was like when they were kids...the fishing, playing in the woods and other outdoor activities were all a wonderful part of growing up. Must be that fishing played a big part in your childhood memories? I decided this hub was a winner as soon as I saw "go fishing." After that it was all gravy! Great suggestions and I completely agree...get the kids outside and away from tv and video games and the computer. Moonlake - ummmm...snakes? No, thanks! But they did catch frogs and salamanders and crayfish. Nothing is more fun for kids than playing in water! :) It sounds like you had a great time with your kids and grandkids! I gave my kids buckets and told them to go catch their snakes. They had already set the traps for the snakes. We use to pick princess pine together to make wreaths. With our granddaughter we caught frogs and put them in terrariums we had made and fed the flies. Nature stuff keep them busy all day. Great hub and congratulations on Hub of The Day. Homesteadbound - Although my grandchildren are all of college age and older now, we did enjoy all of these outdoor activities with them when they were younger. We had some wonderful bonding experiences that I treasure, and I know that our grandchildren have some great memories as well. Thanks for your comments and congratulations! Stephanie Henkel - These are all wonderful ideas. And it looks like you and your grandchildren really enjoyed doing these together. Congratulations on Hub of the day! It was well deserved! Returned to wish you congratulations on earning the Hub of the Day award for this comprehensive hub about how kids and grandparents can do fun outdoor activities together. Stephanie - I loved this Hub when I first saw it. You have great suggestions and the love and involvement you have with your grandchildren is so apparent. Congratulations on a very well-deserved Hub of the Day. Randomcreative - I agree that simple outdoor activities are the best for kids and adults, too! It's not only that so many are free, but kids gain so much from being close to nature while interacting with the important adults in their lives. Thanks so much for visiting and commenting! Congrats on getting HOTD! I can't believe that I didn't comment the first time that I read this article. In addition to grandparents, this is a great resource for parents and teachers, too. Sometimes the simple outdoor activities in life are the best. Sunshine625 - Thanks for the sunny smiles, Linda! Hub Hugs to you! Tammyswallow - Thank you Tammy for all of your support! Many Hub Hugs to you! Great hub with some excellent suggestions. Congratulations on being selected for a well deserved hub of the day! Just Ask Susan - Haha, Susan, grandparenting is soooo much fun! Glad you found the ideas for fun outdoor activities with kids to be useful, and, as you say, parents can also do any of these things with their kids, too. Thanks for the congrats on HOTD -- I was surprised and pleased to see it this morning! Mary615 - Enjoying the beach is just a wonderful way to appreciate nature and spend time together with family. How lucky you are to live close to one! Thanks for your comment and for your votes and share! Kelleyward - It sounds like your parents are very involved with your children...how wonderful for both the kids and the grandparents to have those special times together! Thanks so much for your comments! Vims003 - I'm so glad that you found this hub on outdoor activities for kids and grandparents to be useful. I agree that it is important to help children develop a love of nature while they are young. After reading your hub I can't wait to become a grandparent. This was a fun hub to read and as lex said useful for parents as well. Congrats on your hub being chosen for HOTD. Well deserved. cclitgirl - Obviously, you are still a kid at heart! :) Thanks so much for the congrats and comments! RTalloni - Thanks so much for your kind comments! I was surprised and honored to get Hub of the Day for this! Congrats on having HOTD! This is a great hub, and I can see why it won that honor. We live near the beach, and my kids/grandkids love to go there. We take nature walks, too. I want them to learn to appreciate nature and the beauty we have: free. I will vote this UP, and share also. Gosh, this hub makes me wanna be a kid again - so badly. :) Hehe, this hub is great and a well-deserved HOTD. Congratulations!! 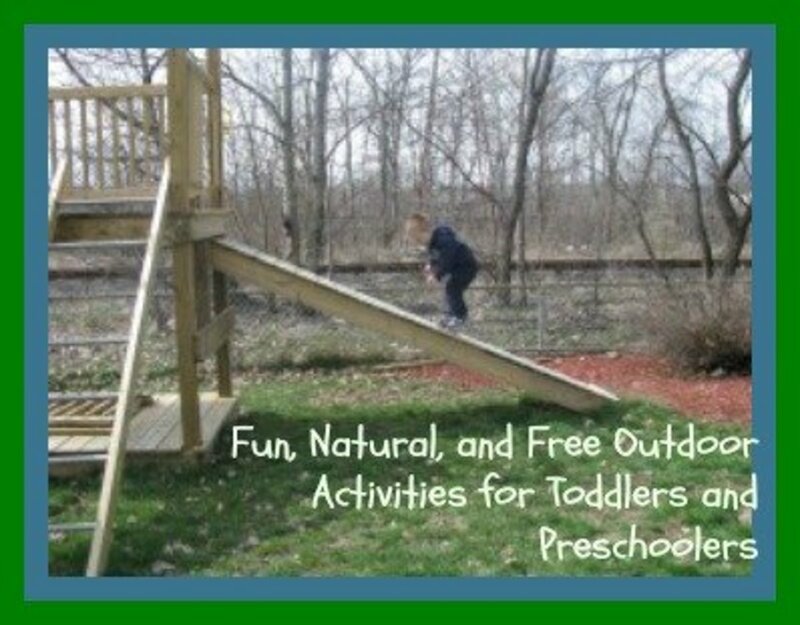 Such great ideas for outdoor activities for kids you have here. No wonder it won the Hub of The Day award. Congratulations! Lex123 - I'm glad you found these outdoor activities for kids and grandparents useful. Playing together outdoors is a great way for kids, grandparents and parents to bond while having great fun. The best thing is that so many outdoor activities are free! Thanks for stopping by to read and comment, and thanks for the share! Your hub is useful not only for the grandparents even for the parent as well. You have meticulously mentioned the items to be brought and the various wonderful free fun activities with the kids. Good list! voting up and sharing. Thank you so much for your kind comments! As a grandparent, I enjoyed so many fun outdoor activities with my grandchildren. Outdoor play is a great way to bond while having good healthy fun. Thanks for the vote and share! Movie Master - Your children and grandchildren are lucky to have a grandmother who loved to play with them in their fort! Sometimes we don't appreciate those shared times as much at the time as we do when the kids have outgrown those activities. Thanks for stopping by to comment! Hi Stephanie, I have always found the simple and free ideas tend to be the best, I like number 3, I have spent many a happy hour with my children and grandchildren under a sheet thrown over the clothes line!! Excellent tips here thank you for this lovely hub and voted up. Happyboomernurse - I so enjoyed sharing some of the good times we had with our grandchildren. Though the photos were taken years ago, the outdoor activities we shared with them would be fun for any parents, grandparents and kids today. Thanks so much for the comments and votes! Wonderful tips from an experience mother/grandmother. I especially loved the adorable photos of your grandchildren and the fact that these suggestions were free or very inexpensive and involved outdoor activities. Voted up, useful, awesome, interesting and beautiful. Dahlia Flower - Thanks so much for your detailed comment. I didn't know that kids have an eight second focus time, though I should have known from observation! That is really sad! It not only stands in the way of education, but of children developing their artistic and creative skills. I do believe that outdoor play is extremely important for many reasons! Thanks for the vote and the share! VirginiaLynne - The gold panning idea was inspired by our visit to Alaska where we bought a couple of bags of "spiked" gravel to pan. The kids loved it and actually thought that they found a few flakes of gold. Another idea that we've seen is to add some sharks teeth to a sandbox and let the kids hunt for them. We do love to do hands-on museums with the kids, too. I didn't include them in the outdoor activities list, even though some have both indoor and outdoor things to do. Your idea of adding polished rocks to the gold panning pool is great! The younger kids especially would like that! Thanks for your comments and suggestions! KTrapp - I believe that we did all of these outdoor activities with our kids as well as our grandchildren! We always loved spending time outdoors and sharing our love of nature with the children in our lives. I think it's more important than ever to encourage outdoor activities now that so many children and adults are content to spend time on indoor, sedentary entertainment. Thanks for your great comment! These are some great ideas. You sure have a brave little granddaughter -- holding that hermit crab creature. I enjoyed all your photographs. I think that's a great idea you pointed out in your Safety Guidelines to have your cell phone programmed for emergency numbers. If we take the time to teach our young school-aged grandchildren (and children) how to access the emergency number, it might save a life. You've included so many of my favorite things to do with children in this hub: picking blueberries, going to a petting zoo, playing badminton, playing croquet, bikeriding....And I agree with you wholeheartedly that the more we can do instead of let these little ones on electronic gadgets too often -- is the way to go. It's been brought out in research time and again that children nowadays have about an eight second focus time due to always having a movie scene change or an electronic gadget scene change -- and they expect something to happen every eight seconds. Really stands in the way of them obtaining a good education in their desk seats at school. Voted up and useful and I'm sharing it. What a terrific Hub with lots of engaging ideas. Any grandparent who would do these things would be a wonderful enrichment to their grandchild's lives. Parents could follow these ideas too! I love the gold panning--you could actually buy a set of those pretty polished rocks and put those in any pool of sand. Don't forget going to museums too! Stephanie - Not only are these great ideas for grandparents but for parents too. There is nothing better than being outdoors with kids and not spending a dime while enjoying time together. The great outdoors sparks their imaginations in ways that electronics cannot, and at the same time everyone is more physically active. As I read back over your list I think we did almost all of these things with our kids except the backyard treasure hunt and the meteor shower.